The Best Stock blogs from thousands of top Stock blogs in our index using search and social metrics. Data will be refreshed once a week. Also check out Stock Market Podcasts & Top Stock Market Youtube Channels list for Top videos on Stock Market. Stock newsletter is a comprehensive summary of the day's most important blog posts and news articles from the best Stock websites on the web, and delivered to your email inbox each morning. To subscribe, simply provide us with your email address. About Blog MarketWatch.com, published by Dow Jones & Company, tracks the pulse of markets for engaged investors with more than 16 million visitors per month. MarketWatch provides the latest stock market, financial and business news. Get stock market quotes, personal finance advice, company news and more. Facebook fans 956,869. Twitter followers 3,602,575. About Blog Stock market Insights & financial analysis, including free earnings call transcripts, investment ideas and ETF & stock research written by finance experts. Facebook fans 38,469. Twitter followers 108,186. Global About Blog News stories moving stock markets in the US and around the world. Our news team reports on market moving events around the world that traders need to know in order to stay on top of developments in the companies whose stocks they trade. Facebook fans 233,277. Twitter followers 23,919. About Blog StocksToTrade is a real-time stock screening, charting and trading platform that allows you to find the best stocks every day! Facebook fans 1,691. Twitter followers 34,347. USA About Blog A selection of articles and commentary from our web site at www.philstockworld.com. Facebook fans 182,471. Twitter followers 2,002,285. New York, New York. About Blog Penny Stock Dream is not your usual penny stock picking website. We are a team of analysts and investors in the field of selecting penny stock picks. We have gotten used to seperating the ordinary from the extraordinary when it comes to the stock market, especially when it comes to researching and reviewing penny stocks trading on the OTC Market and Pink-Sheets exchanges. Facebook fans 205. Twitter followers 15,417. San Francisco, CA About Blog Follow up to keep with to stocks and investment. Facebook fans 1,211,613. Twitter followers 579,052. About Blog NinjaTrader Group, LLC together with its subsidiaries provides award winning trading software and brokerage services to active traders.Founded in 2003, NinjaTrader has evolved into an industry leader supporting over 40,000 traders around the globe with best-in-class technology, deep discount commissions and world class support. Facebook fans 31,426. Twitter followers 3,875. Canada About Blog The Motley Fool (fool.ca) offers stock market and investing advice, showing people how to take control of their money and make better financial decisions. Follow this website to get stock investment advice with the sole intention of helping you take control of your own money and make better financial decisions. Facebook fans 13,661. Twitter followers 2,196. Australia About Blog Discussion forums for Australian stock market investors and traders. Our mission is to provide Australian stock market investors and traders with a quality online community where they can discuss various aspects of investing and trading in Australia and in other markets around the world. Facebook fans 2,268. Twitter followers 460. About Blog Get Stock news and analysis on stocks. Latest Indian Stock Market News on SENSEX, NIFTY, BSE, NSE Live and on Indian stocks analysis. Facebook fans 4,083,056. Twitter followers 2,755,137. San Francisco, CA About Blog Stock market news, Trading, investing, long term, short term traders, daytrading, technical analysis, fundamental analysis and more. San Francisco, CA About Blog A place to discuss penny stocks freely. About Blog The CNBC Stock Blog is a cross-section of expert opinions and insights from our TV and Web site coverage. This blog includes posts written by and about top analysts and strategists, super-investors and CNBC own market mavens. Here you will get latest business news on stock markets, financial & earnings on CNBC. Facebook fans 2,148,822. Twitter followers 2,744,434. Facebook fans 269,769. Twitter followers 171,762. About Blog Financial content with a distinctive voice. Offering a fresh perspective on financial news, and bold opinions on investment opportunities. Facebook fans 1,193. Twitter followers 21,139. About Blog Stock Gumshoe specializes in “sleuthing out” the investments being teased and tracking them to see, over time, whether it would have made sense to buy stocks based on the teaser ads they received. In addition to newsletter analysis, the financial blog provides contributor content, premium content to subscribers, and a lively community that actively contributes valuable comments. Facebook fans 3,397. Twitter followers 1,111. India About Blog Simplify Investing for Retail Investors by providing Distilled & Relevant Historical Data, Valuation Framework & Tools complimented by Unbiased Research & Investor Education Initiatives, Learn How to Invest in Stocks. Facebook fans 25,460. Twitter followers 3,214. Orange County, California About Blog InvestTalk is a weekday program that looks at new and relevant investment topics each weekday, and answers questions about financial and retirement planning, money management as well as general concerns about the stock market with financial adviser, Steve Peasley. Redwood City, CA About Blog Liquidation auctions of excess inventory, customer returns and overstock inventory directly from major retailers and manufacturers at BStock Solutions. Facebook fans n/a. Twitter followers 571. About Blog Swing Trade Bot was created to help you stay on top of the market. It helps you find entries as well as exits. Facebook fans 260. Twitter followers 2,799. Saint Petersburg, Florida About Blog Intrinio starts with a platform of financial data. Valuation combines investor’s insights with automated tools to turn that data into information. Intrinio's mission is to provide financial data and tools to power analyses so that our users can build something financially and personally meaningful. Facebook fans 296. Twitter followers 543. About Blog India's Most Trusted Stock Advisory and Portfolio Management Company.100% satisfied clients across 14 different countries and every major states from India.Helping retail investors in the journey of their long term wealth creation. Facebook fans 6,813. Twitter followers 2,035. New York About Blog A blog about markets, finance and all things money related. Find thoughts about valuation, corporate finance and the news of the day! India About Blog TriFidl Research is a research house and an investment advisory group carrying out operations in the Indian Equities and commodity market. Get the Latest Stock Tips, Stock Trading Tips, Share Tips, Videos, News Updates and calls in real-time. Explore more on Stock Tips. Facebook fans 24,164. Twitter followers 15,442. Surat, India About Blog EquityPandit is been promoted by a group of Stock Market analysts who are certified by National Stock exchange and other International certifications and have experience of more than 5-10 years of Technical and fundamental analysis. We offer diversified range of products according to the difference in the Needs of an investor, trader or a broker. Facebook fans 2,347. Twitter followers 35. India About Blog Simplifying value investing in India. Learn fundamental analysis by value investing blog, value investing workshop, online course and live company analysis. Facebook fans 3,524. Twitter followers 21,995. NYSE About Blog Gorilla Trades is the market-tested online investing system that provides you with potentially explosive stock picks and the specifics on how to trade them. The Gorilla Trades stock picking system provides you with explosive stock picks, background research and specifics on how to trade. Facebook fans 23,483. Twitter followers 10,012. Munich About Blog Barry D. Moore is the founder of LiberatedStockTrader.com. He is an IFTA Certified Market Analyst with nearly 2 decades of Investing experience, a published Author & Leading Investment Blogger. At Liberated Stock Trader we work to enable “YOU” to understand core concepts of the stock market and enable “YOU” to always make informed decisions about where your money will go. Facebook fans 1,701. Twitter followers 2,285. India About Blog Indian Stock Market, stock recommendations for short term, medium term & long term, Mutual Funds review & recommendations, Personal Finance, etc. Facebook fans 1,535. Twitter followers 187. New York, NY About Blog A Journey Through the Stock Market Jungle. Facebook fans 1. Twitter followers 57,094. NY About Blog Speed Trader is a division of Stock USA Execution Services Inc broker/dealer and a member of SIPC, FINRA. The firm specializes in the online trading. Facebook fans 90. Twitter followers 4,092. About Blog A blog about creating a reliable and growing dividend income stream. NJ About Blog Founded by professional trader and best-selling author, Lawrence G. McMillan, McMillan Analysis Corporation ("MAC"), a registered investment adviser and commodity trading adviser, has been providing options-oriented advice, money management. Known synonymously by OptionStrategist.com, our company offers a wide range of top quality products and services for the serious options traders. Facebook fans 1,044. Twitter followers 8,678. Austin, Tx About Blog ProAct Traders has the most AMAZING Forex Trading Software is you have ever seen and a free Forex Target Training Protocol for both new and experienced traders using time-tested proven methodologies that consistently create high probability trading returns. Facebook fans 46. Twitter followers 1,216. About Blog Marvin Germo, is a stock market trader, entrepreneur, book author, international key note speaker, brand ambassador and personal financial consultant who is among one of the most passionate personal finance experts in the land. His energy and zeal to educate the Filipino people has translated into transformed lives, financially free families and has transformed ordinary consumers into investors. Facebook fans 28,292. Twitter followers 14,418. Atlanta About Blog Short Takes is a stock market blog updated regularly by Ciovacco Capital Management, LLC. This financial blog covers investing topics, such as economic cycles, stocks, commodities, currencies, and technical analysis. Facebook fans 971. Twitter followers 45,404. Pune, India About Blog Welcome to Trade Brains. Here we help you become a self-taught stock market expert, mastering the skill of Investing, portfolio management, trading & more. Facebook fans 2,201. Twitter followers 60. Australia About Blog The news on the World and Australian stock markets worth paying attention to - and what it might mean for your investments. Our mission is very different to that of newspapers or mainstream financial outlets. Our mission is to look at the investment world and the financial world in a sceptical and contrarian way. Facebook fans 6,122. Twitter followers 75. California, USA About Blog Secret stealthy tactics for analyzing the stock market. Hit and run on stocks. Stock trading using charting, technical analysis. Urban stock investing for the small guy. Facebook fans 2,699. Twitter followers 3,653. About Blog Founded in 1979 by Louis B. Mendelsohn. To enhance the trading success of financial market investors by providing unparalleled predictive market forecasting software and support. We will foster an environment where personal integrity, commitment and accountability to our team members, customers and stakeholders is without compromise and exceeding expectations is the definition of success. Facebook fans 4,936. Twitter followers 2,869. New York About Blog Learn how to invest by selling stock options. Alan Ellman guides us through his system of options trading so you too can become CEO Of Your Own Money. Facebook fans 816. Twitter followers 1,918. Nyack, New York About Blog Stock Traders Almanac is dedicated to arming traders and investors with accurate information and historical data – thus empowering them to make more profitable trades and investments! You will find a host of indispensable tools and offerings on this site, including the online research tool, investor alerts, and in-depth market research. Facebook fans 1,639. Twitter followers 13,811. Global About Blog The best online platform of tools for self-managing stock traders. Real-time chat and community of stock investors and a proprietary stock and strategies discovery tool. Find stocks like guru and legendary investors. Facebook fans 859. Twitter followers 1,051. Singapore About Blog Sharing my stock investing experience at my blog. A Singapore Stock Analysis, Singapore REITs and Singapore Stock Blog. Facebook fans 2,397. Twitter followers 225. About Blog Looking for top notch articles on stock market basics,value investing,fundamental and technical studies of stocks. Singapore About Blog To make money. To build wealth. To preserve wealth. Facebook fans 2,478. Twitter followers n/a. Surat, India About Blog Put overselves in the way of good luck” as opportunities only come around once in a while and we have to take those opportunities. Dubai About Blog Stock market Live TV mission is to offer to professional investors access to the best trading system in the world including tools, resources and an e-learning program whose aim is to achieve consistent profits regardless of stock market conditions. Facebook fans 4,076. Twitter followers 1,709. About Blog Carl Futia’s blog provides insights into e-mini S&P trading and contrarian commentary on the markets. Most traders watch the blog’s Guesstimates, which provide commentary on S&P e-mini futures, the QQQ index, euro-dollar, dollar-yen, crude oil, gold, silver, and other popular securities. Mr. Futia also runs a subscription-based blog and a trading seminar that provides real-time picks. Facebook fans n/a. Twitter followers 2,688. Arizona About Blog The goal of this site is to inform and entertain as I wish to educate my readers about stock investing in a simple and easy to read manner. For those that are interested, I make all my purchases through CapitalOne Investing (formerly Sharebuilder) and pay a grandfathered commission rate of $2 per trade under a promotion Sharebuilder had for Costco members. Follow this site to get useful articles on dividend investing in easy understandable manner. Facebook fans n/a. Twitter followers 1,273. About Blog The Unbiased Source for Stock Promotion & Penny Stock News. Facebook fans n/a. Twitter followers 34,829. Michigan, US About Blog Trusted value investing advice & stock recommendations since 2009. Our value stocks easily outperform Warren Buffett & most stock market indices long term. Facebook fans 1,918. Twitter followers 18,649. About Blog Stockwinners is one of the oldest stock advisory services on the web. We believe that education and up-to-date information are the best tools available to today's investors. Knowledge is power! We provide upgrades downgrades, latest financial news, earnings report, real time option reports on our site. Facebook fans 897. Twitter followers 1,686. About Blog WD Gann Secret was simple he studied the Universal & Natural Laws of universe then formed & perfected that Natural Laws language into markets trading techniques, I'am offering those type of trading techniques in today’s time. Facebook fans 3,475. Twitter followers n/a. Pittsburgh Region About Blog HGS Investor supports a community of traders & longer term investors who maximize opps and profits via our powerful stock screening and evaluation software. Facebook fans n/a. Twitter followers 288. About Blog The Speculative Investor analyses cover equities, gold and gold stocks, currency exchange rates, commodities and bonds. About Blog MyStockMarketBasics is a blog to share your investing ideas and learn the basics that make investing easy. No quick trading strategies or penny stock ideas, just smart investing. Get back to the stock market basics to learn how to start investing and meet your investing goals. Stop losing the stock market game! Facebook fans 292. Twitter followers 1,120. Singapore About Blog Spiking is the newest app to excite the financial technology community, brings transparency to the Singapore stock exchange through real-time verified information on trades made by the big-time sophisticated investors.We help you to invest smarter. Our real-time updates on the big stock players keep you one step ahead of the game. Facebook fans 123,552. Twitter followers 64,060. About Blog Debnath's Blog : tracking global trends in Stock Markets. About Blog City Of Hype is an online publication covering anticipated trends and news in tech, entertainment, lifestyle, finance and stock market. Facebook fans 1,356. Twitter followers 10,523. U S A About Blog A Journey Through Personal Finance & Investing. Facebook fans 1,141. Twitter followers 602. Bengaluru, India About Blog Stock and Ladder is focused on studying the best investing minds to create a manual of investing wisdom on "what works in investing" and to find out "how money has been successfully made in the past"
Facebook fans 50. Twitter followers 10,038. About Blog Get the stock market education you need to succeed. See our stock trading tutorials, stock options training videos, the proper mindset training and more. Facebook fans 17,175. Twitter followers 1,386. India About Blog Blog by Atul Singh. Stock market analyst who always picks up undervalued stocks before anyone else does. Read my blog, Make your investment ASAN. Facebook fans 3,348. Twitter followers 7,311. Atlanta, GA About Blog Investing in Stocks Through Options. My Trader's Journal is a valuable resource for ideas because I believe I manage risk and reward well. Maryland About Blog A stock market technical indicators and analysis blog by Dr. Wish. Here you'll find 40 years of strategies and tested market technical indicators. Facebook fans 24. Twitter followers 1,301. Canada About Blog My name is Lsigurd and I plan to use this blog to share the research that I do for stocks that I am purchasing in my own accounts. Facebook fans n/a. Twitter followers 2,199. Singapore About Blog Multi Management & Future Solutions is helping traders and investors grow their money in SGX Singapore. Our objective behind entering Singapore market is to make institutions and retail investors get optimum advantage of our advisory and our prolific market know how.Get Intraday stock picks for active stock traders in SGX Singapore, Positional stock picks for investors in SGX Singapore. Facebook fans 1,118. Twitter followers 400. São Paulo - SP About Blog Our mission is to bring readers information that is worth money in a simple and enjoyable way to read. We address issues related to economics, investments, personal finance, politics, consumer, career and business. Facebook fans 1,290,573. Twitter followers 142,398. Indore, India About Blog Highlight Investment research's blogs provides all share market news and updates to its client, It is one of the finest resource of Blog where you get Real value for money to all its clients. Facebook fans 4,458. Twitter followers 60. Coimbatore, India About Blog Learn how to invest in stock markets. Invest with your hard earned money in stock markets by educating yourself with our advanced classes and one on one mentoring sessions. We teach advanced technical analysis through our online classes. Facebook fans 25. Twitter followers 8. Facebook fans 2,561. Twitter followers 348. About Blog Sanlam iTrade Online is the online trading platform of Sanlam Private Investments, so advanced in its design and user compatibility, so liberating in its spread of options, that it offers everything you need and more to make successful investment decisions, pro-actively manage your portfolio and trade on the JSE at competitive costs. Facebook fans 12,976. Twitter followers 2,237. NEW DELHI About Blog Rashi Invest is the best stocks investment advisory company in India. It provides recommendations or tips in (Stock future/ stock option/ stock cash/ bank nifty future/ bank nifty option/ nifty future/ nifty option) To invest in national stock exchange (NSE India). Facebook fans 4,812. Twitter followers 624. Singapore About Blog Singapore Stocks Blog is a stocks investment blog which focuses on wealth creation through investing, trading, savings and financial discipline. Facebook fans 3,328. Twitter followers 316. Seal Beach, CA About Blog After a complimentary Portfolio Review and Analysis with specific recommendations, prospective investors quickly learn how different our approach is compared to the rest of the industry. We are not driven by sales quotas or commission goals; we take pride in our fiduciary responsibility. Mission is to provide clients with Unwavering Ethics, Superior Discipline and Unsurpassed Value. Facebook fans 354. Twitter followers 878. India About Blog Value Picks Blog Best Investment Picks Hidden Gems Multibagger Tips Indian Stock Market. Facebook fans 4,075. Twitter followers 10,388. Wall St. About Blog Blue Horseshoe Stocks is part of the Bull in Advantage Network. Our picks are selected independently by our staff, and in most instances we do not receive compensation for the coverage. We are, however, active stock traders, thus it should be assumed that we are trading any/all stocks mentioned. Facebook fans 10. Twitter followers 503. About Blog A free sharing Trading Blog where we humbly post our analysis of Singapore Stock Market. India About Blog Get insights from our blog on how to successfully trade or Invest in financial markets.Learn fundamental and technical analysis. Facebook fans 3,727. Twitter followers 803. New Delhi, India About Blog Prudent Investments is a stock broking & research firm which works on profit sharing model. Also deal in Algo Trading and Mutual Funds. Prudent Investments is a Technical Research Advisory & Training firm which assists you in Trading in Equity, Futures & Commodities via our Trading Strategies. Facebook fans 372. Twitter followers 9. Tucson, AZ About Blog Get daily insight on what is really moving the stock market & what the future economic environment may look like. About Blog Updates on stock,equity market with accuracy and 100% profit margins. In Star India Market Research- we believe to create breakouts rather than wait for it; to gain maximum profit. We cater your investment needs. About Blog Blog by Sachin Aggarwal. Technical Analyst and Chartered Accountant(FCA). About - Barron's is America's premier financial magazine. It provides in-depth analysis and commentary on the markets, updated every business day online. About - Stock Market and Investing Blog of Mebane Faber. He is a frequent speaker and writer on investment strategies and has been featured in Barron’s, The New York Times, and The New Yorker. About - I became a self-made millionaire by the age of 21, trading thousands of Penny Stocks - yep you read that right, penny stocks. I now have 3,000+ students in over 70 countries and as you can read in this blog post, some of my trading challenge students are trained killers so I better do a good job teaching them! About - Fool UK has online newsletters providing share tips and portfolio guidance, plus a share dealing service. We also cover investing and stock market news. Follow this site to get Tips, Investing and Stock Market News. About - TheStreet, Inc. provides timely unbiased news, powerful data and strong analysis to help the world make informed investment decisions and discover new business opportunities. About - UK Value Investor is a blog and monthly newsletter for Defensive Value Investors. That is, investors who want to high yield, low risk portfolio of shares. About - The Motley Fool (fool.ca) offers stock market and investing advice, showing people how to take control of their money and make better financial decisions. About - Stock Trades provides stock,personal finance and investing information to beginning and intermediate investors. Start making your money work for you today. About - The ValueTrend Wealth Management approach, rooted in proven and unique market analysis and individual stock analysis methods, offers a new, refreshingly different approach to investing. About - At The Motley Fool, our purpose is to help Australians invest — better. About - Welcome to HotCopper. We are Australia's largest stock trading and investment internet discussion forum with over 250,000 registered members. About - Know the New Economy through Moneycontrol, India’s No.1 financial portal. Tune in for exclusive and breaking news, in-depth analysis, high-quality data and the best investment tools. About - We do Indian share market analysis where you can get quote for every stock with it’s detailed analysis and Buy or Sell recommendation. Track performance of stocks on the basis of Sector i.e. FMCG, IT, Banking etc. About - Stockadda.com is the best online investors community in India. It is our endeavor to bring the investing community in India closer to each other and encourage sharing, transparency and collaboration of knowledge, thoughts, ideas and conversations. About - The site provides comprehensive and real time information on Indian corporates, sectors, financial markets and economy. CONGRATULATIONS to every blogger that has made this Top Stock blogs list! 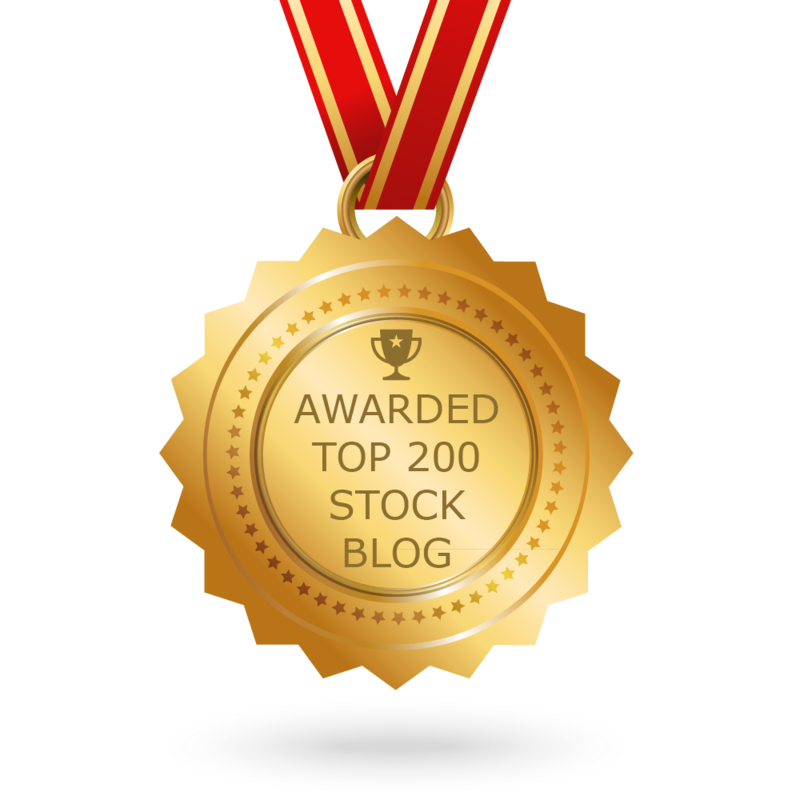 This is the most comprehensive list of best Stock blogs on the internet and I’m honoured to have you as part of this! I personally give you a high-five and want to thank you for your contribution to this world.